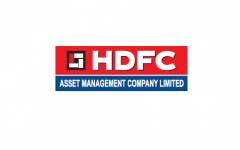 Business description -HDFC AMC has been the most profitable asset management company in India in terms of net profits since Fiscal 2013, with a total AUM of INR2,932.54 billion as of 31 December 2017. Its profits have grown every year since the first full year of operations in Fiscal 2002. It has been the largest asset management company in India in terms of equity-oriented AUM since the last quarter of Fiscal 2011 and have consistently been among the top two asset management companies in India in terms of total average AUM since the month of August 2008. As of 31 December 2017, its equity-oriented AUM and non-equity-oriented AUM constituted INR1,552.82 billion and INR1,379.72 billion, respectively, of its total AUM. Its actively managed equity-oriented AUM (which excludes index linked and arbitrage schemes) constituted INR1,495.62 billion of its total AUM as of 31 December 2017. Its AUM has grown at a compounded annual growth rate (“CAGR”) of 27.1% between 31 March 2013 and 31 December 2017. HDFC AMC IPO allotment status is now available on Karvy Computershare’s website. Click on this link to get allotment status. Bumper Listing!!! Got 1 lot, Sold @ 1775 by 10:05 AM itself. I HAVE APPLIED THRU. TWO APPLICATION FIRST RETAILS CATG. & SHAREHOLDER CATG. Both your applications will be rejected. To qualify for shareholder quota, you needed to have shares of HDFC, not HDFC Life. Deepak Parekh is a genius. Period. How should we increase the chances of IPO allotment? I wish to apply for 3 lots. Can i apply for 2 lots from one account and 1 from another to increase the chances? It is very good IPO this month even the grey market premium is very high as compare to current running ipos. short term or long term?? RNAM could be a good option to buy as HDFC will not come cheap!!! 230 now, except 260 next week. This will be a good IPO for investors but don’t look for discount. It will also be on a premium to Reliance.